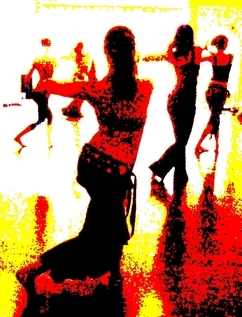 Tribal Style Belly Dance Classes for Everyone! In this class we will learn beautiful juicy movements, drill isolated movements, strengthen ourselves to prepare for fancy floor-work and other fabulous tricks, learn improvisational group techniques (cues, transitions, formations, etc.) and create our own combinations! Our current all ages instructor, Carlisa, is on maternity leave!